This little dish materialized after realizing I had leftover shallots, the remains of a jar of walnut mustard, and a couple of chicken breasts that needed to be cooked. I also had a bit of prosciutto and comte cheese leftover from last week’s meals, and originally thought I might stuff the chicken and pour a mustard sauce over it. That sounded hard and I was hungry, so I did it this way instead. The sauce is flavorful, creamy, and rich — exactly the way post-cleanse Carol likes it. It smelled amazing (I mean truly, truly amazing) and tasted even better (the umami factor is over the moon). (I just used “umami factor” in a sentence. I think I’m officially a food blogger.) It’s sort of a dated dish (typical of the hearty & heavily sauced french fare that dotted the restaurant landscape in the 80s), but maybe that’s why I like it. I served it over roasted garlic-mashed potatoes, and sopped it up with crusty french bread. Delectable. Note: The sauce takes a while to make, since you have to reduce multiple times — but it’s worth it. It probably took me 45 minutes from start to finish, which is certainly not prohibitive. It helps to have most of the ingredients measured out first. Also, I only cooked two chicken breasts, but had a TON of sauce leftover, so making four (as the original recipe calls for) is probably a good idea. And, as I mentioned above, this is terrific served over mashed potatoes. 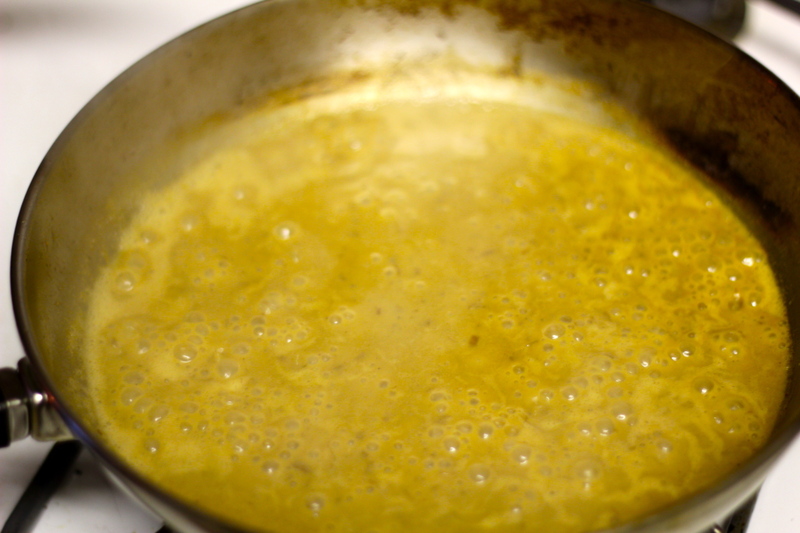 If you like your sauce a little thicker, let the broth reduce for ten minutes before adding the cream and the chicken. 1. 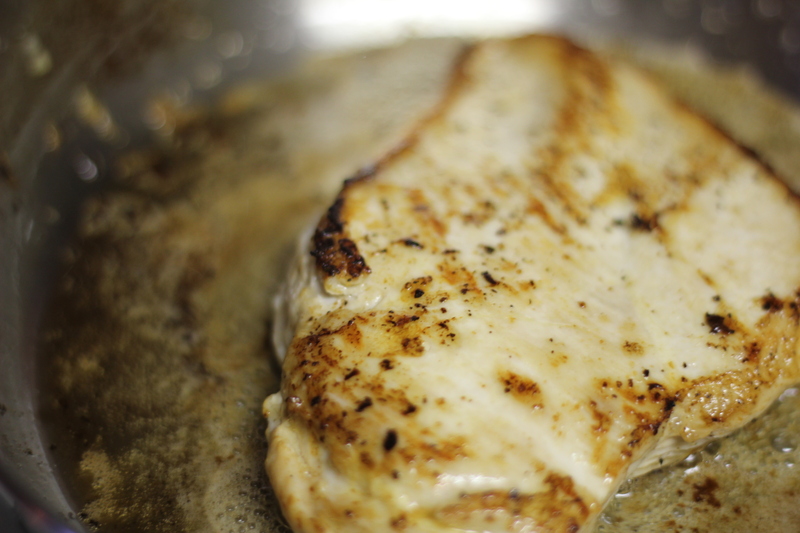 Rinse your chicken breasts and pat them dry. If you haven’t already, flatten them by pounding them between two sheets of plastic wrap with a meat tenderizer or a heavy mug. No need to make them paper-thin, just tenderize them and try to even them out. Season them with salt and pepper. 2. 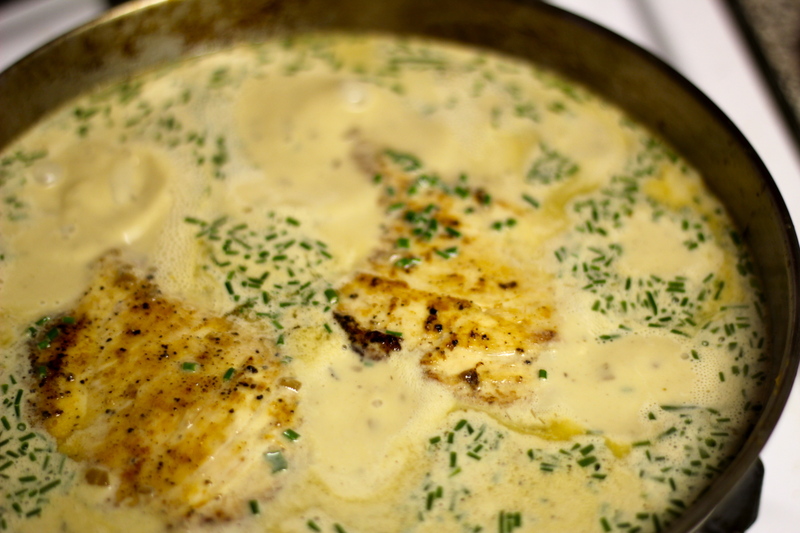 Heat the butter in your sauté pan until it begins to melt and foam. Add the breasts to the pan and brown them on one side, for about 5 minutes. Turn them over and cook them until well browned on the other side, about 3 or 4 more minutes. No need to cook them all the way through; they will finish cooking later in the sauce. Transfer the chicken to a plate and cover with foil to keep warm. 3. 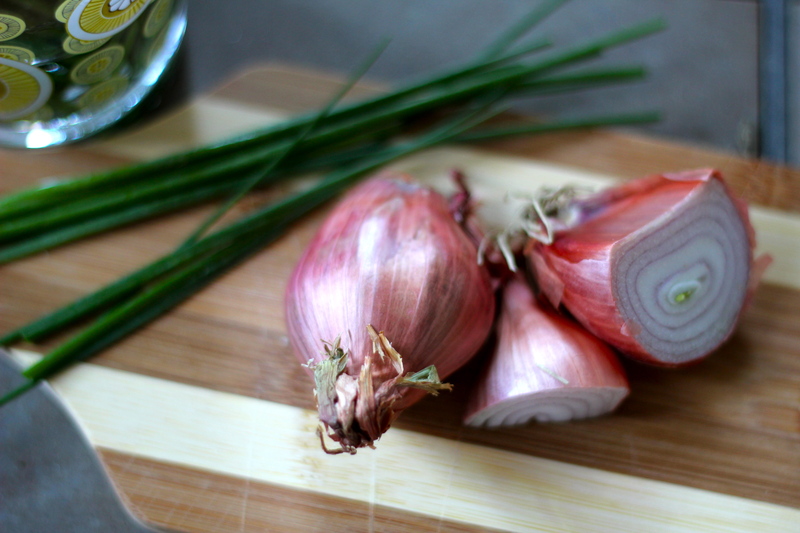 Add the shallots to the same pan and sauté until softened but not browned, about 2 minutes. Lower the heat, move the pan away from the flame, lean away from it, and carefully pour in the bourbon, taking care not to let it flame. (If it does flame, cover with a pot lid until the bourbon cooks out.) Continuing to be mindful of potential flare-ups, return the pan to the stove and let the brandy evaporate over low heat (at least ten minutes). 4. Once the bourbon has cooked off, add the wine to the pan, raise the heat to high, and bring it to a boil. Whisk in the mustard and let reduce for 1 minute. Then, pour in the broth, and cook over medium high heat for 3 or 4 minutes more, until the sauce is simmering again. 5. Stir in the cream and bring just to a boil. Stir in the chives and reduce the heat to medium-low. Return the chicken breasts to the pan and simmer gently until the stock has reduced and thickened slightly and the breasts are cooked through, 5 to 7 minutes more. 6. 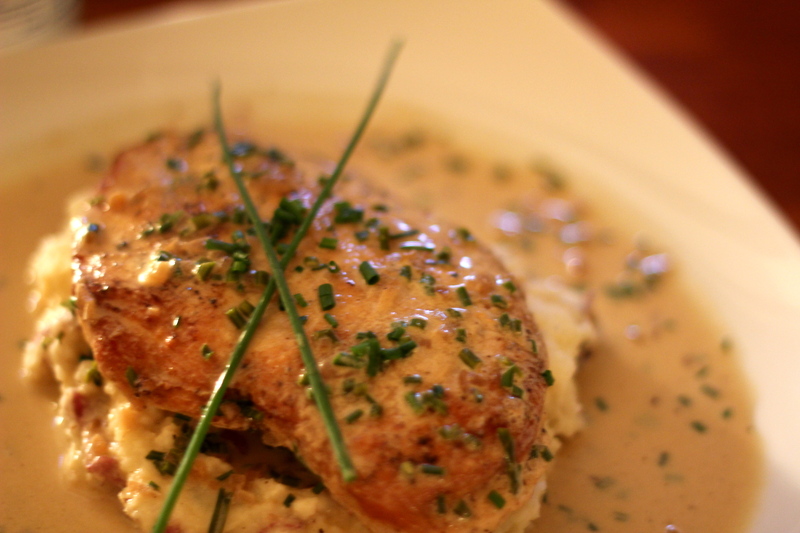 To serve, put 1 chicken breast in the center of each of 4 plates and spoon some sauce over the top. 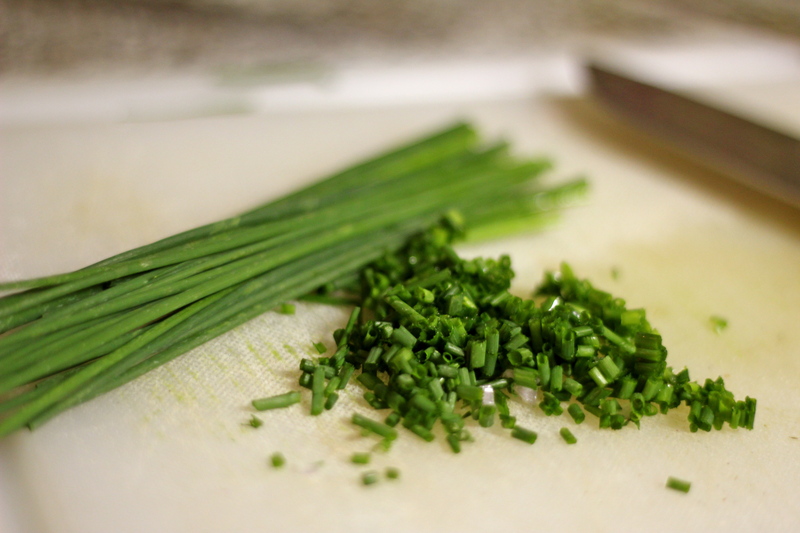 Garnish with more fresh chives and pass extra sauce at the table. That looks great! Lovely photos. thank you dear frugal, i thought of you while i was making it–i only used ingredients i had already! a frugal meal indeed. This looks delicious. I love mustard and bourbon. I can imagine that they would be great together. i am one of those people that always sneaks mustard straight from the jar…and, well, i do the same with bourbon. turns out they are a match made in heaven! p.s. love your blog! I don’t even eat meat, but the flavors here seem really fascinating. I mean dang girl, I’m fascinated by the mere idea of walnut mustard.